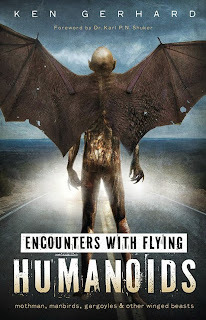 Today, I received through the post a copy of Encounters With Flying Humanoids: Mothman, Manbirds, Gargoyles and Other Winged Beasts. This is the latest book by renowned American cryptozoologist Ken Gerhard, who had added a very kind handwritten inscription to my copy before posting it to me – thanks Ken! Several months ago, Ken had asked me if I'd write a foreword to his book, and after reading its manuscript I was only too happy to do so, as I was very pleased that these extraordinary and extremely diverse entities' reports had finally been compiled and assessed within a single volume, in so expert and enthralling a manner too. As I wrote in my foreword, I've always been interested in this subject, ever since encountering by chance many years ago a fascinating book that included a number of different examples. But why waste time attempting to summarise what I wrote in my foreword? Far better simply to reproduce it in full here, as my personal, unequivocal recommendation to everyone interested in such beings, such 'things with wings', to purchase Ken's excellent new book without delay! One afternoon during the early 1980s, I was browsing through the upstairs, second-hand department of Andromeda Books – the once-celebrated but now long-demised science-fiction and fantasy bookshop in Birmingham, England – when I came upon a paperback entitled Earth's Secret Inhabitants, which had been published in 1979. 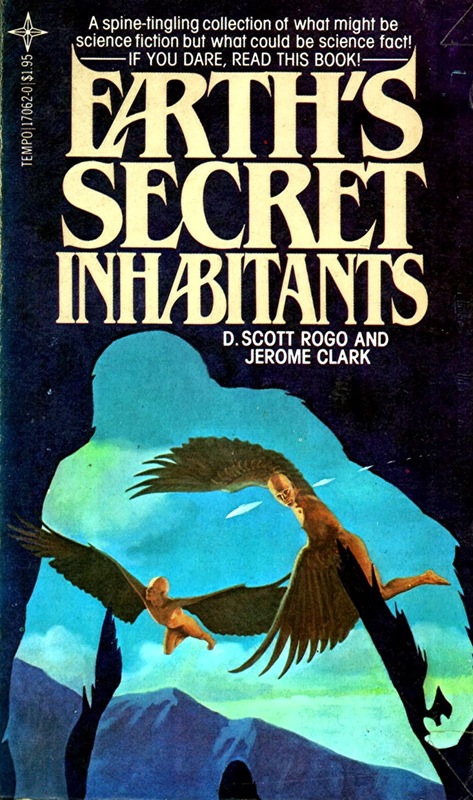 Its front cover illustration was extremely eyecatching – a full-colour depiction of two feathery-winged humanoids flying through the sky in a scene captured within the hulking silhouette of a bigfoot-type man-beast. 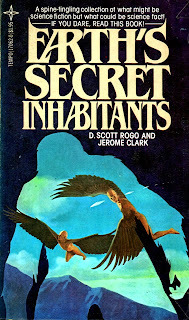 Initially, I'd assumed that this book was a sci-fi novel, but then I noticed that its authors were none other than D. Scott Rogo and Jerome Clark – two leading American non-fiction writers specialising in the field of mysterious phenomena. 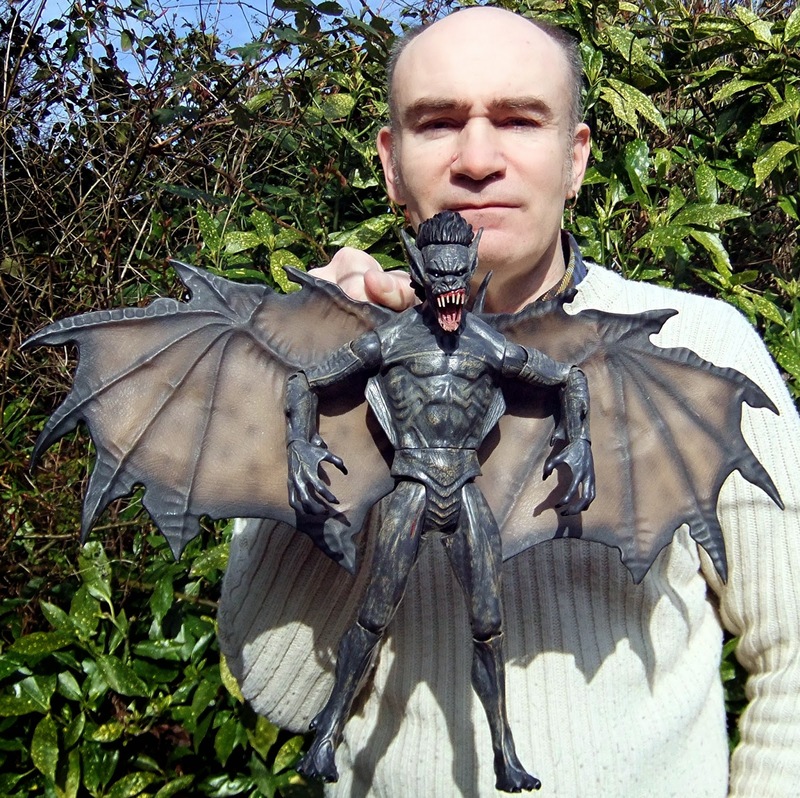 And when I turned to the back cover, the blurb revealed that its contents featured a wide range of surreal entities that apparently share our planet with us but have never been scientifically explained - including a veritable phalanx of winged 'bat-men'. Until then, I'd been largely unaware of these aerial apparitions, but after reading about them in Rogo and Clark's book – because, needless to say, I purchased it immediately! – I was totally captivated by their bizarre histories and extraordinary appearance, and from then on I made a point of collecting as much information concerning them as I could find. The most immediate problem that I have always faced whenever doing so, however, is that such material is extremely disparate, scattered loosely among countless publications, yet rarely compiled or assimilated into any kind of lucid or lengthy coverage. This is why I was delighted to learn recently that Ken Gerhard was writing a book-length treatment of these winged wonders, and even more delighted when he very kindly invited me to write a foreword for it. 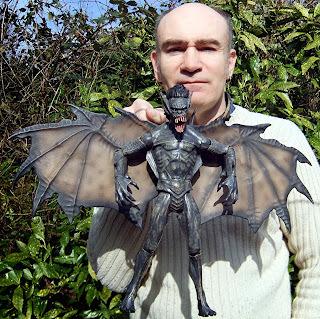 Reading through his book, Encounters With Flying Humanoids, it is evident that Ken shares my own fascination with the bat-men and man-birds that have haunted our skies for many centuries, continue to be encountered even today, in all parts of the world, and assume a diverse assortment of forms. Moreover, unlike previous writers, he has not been content to limit his coverage to such perennially-chronicled enigmas as mothman, owlman, and the man-bats of Texas, but has cast his gaze like a vast skyborne net far and wide through time and space, encompassing many much more obscure examples that even I, despite having spent years of collecting material myself, had never previously heard of. Consequently, Encounters With Flying Humanoids very commandingly fills a sizeable, (all-too-)long-present gap in the Fortean and cryptozoological literature, and it also makes enthralling, if not a little disturbing, reading. What are these mysterious flying figures with plumes of bird or pinions of bat, and where have they originated? Do they truly belong somewhere within our planet's grand scheme of things, or are they visitors from the great beyond – from alien worlds, planes, or dimensions, rarefied realms stranger than we can even begin to suspect? And if so, why are they here? What might their purpose be? A worthy successor to his previous highly-acclaimed volumes on winged mystery beasts and cryptids of Texas, Ken's latest, superb book is a timely reminder of just how outlandish our land can sometimes be, how otherworldly our world may sometimes seem, and that there truly are more things – especially with wings – in heaven and earth, gentle reader, than are dreamt of in anyone's philosophy! Click here to purchase Ken's book from Amazon. http://irregularbooks.co/ This website may be the only one hope you'll ever have to resurrecting "The Great Mystery Atlas" Contact the guys of that website and they may have an increased chance of helping out. Anyways, not to get off topic, it could be possible that, by means of evolutionary adaptations or skills, these humanoids might be our close relatives, but imagine one flying humanoids that has 3 sets of wings; one set on the back, one set on the legs, and one set on the arms. The most badass flying humanoids any living thing has set eyes upon (pardon my language). I've got Ken's book and I've read it. It was great. Outstanding article,,written by,and featuring two of my favorite writers,researchers and investigators of the unknown,..Dr Karl Shuker,and Ken Gerhard!! On many days,,it may not get any better!! 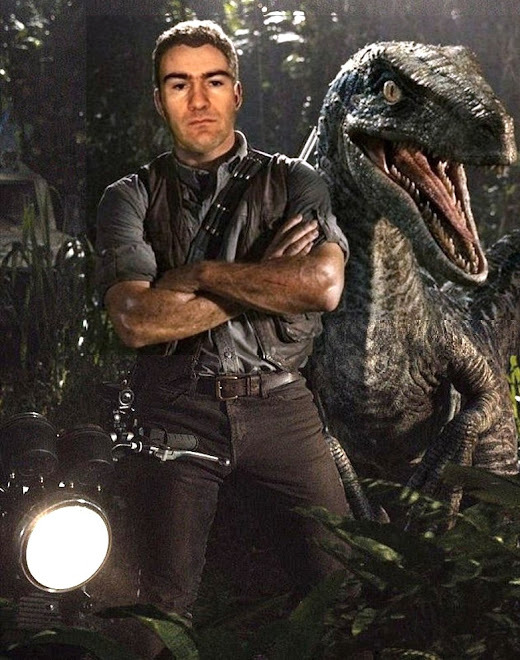 Thanks for the awesome post Dr Shuker!!! LUMINESCENT BIRDS OF PARADISE IN BORNEO? TWO SEA MONSTERS FOR THE PRICE OF ONE!